Among the 1,282 first-year students who hauled boxes and books into Case Western Reserve University residence halls in August, more than two dozen hailed from one city more than any other. And for the second year in a row, that city was Beijing. That fact reflects the accelerating pace of globalization on campus. While the university&apos;s graduate-student enrollment has long included a sizable international population, the presence of 469 undergraduates from abroad—a figure more than 70 percent higher than four years ago—is one tangible result of a deliberate strategy to make a world-class university worldwide. Five years after Case Western Reserve committed to make its research, courses and student body as global as possible, it has established strategic relationships in booming economies such as Brazil and Taiwan, furthered long-standing partnerships in developing nations such as Uganda, and is making rapid progress on the goal of exposing half of all undergraduates to an educational experience in another country. 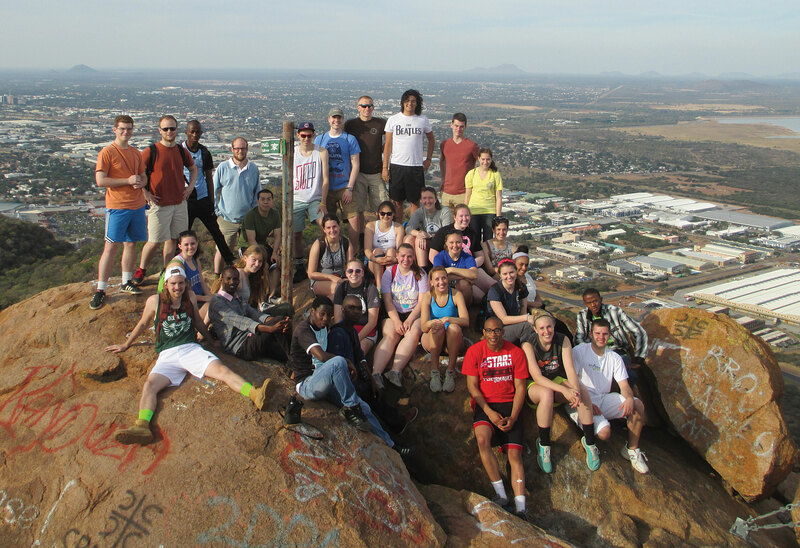 This academic year, about 40 percent of students are expected to study abroad, more than double the 19 percent from the 2010-2011 school year. While the university encourages undergraduates to study in other countries, it simultaneously pulls outstanding international students to University Circle. "An international strategy is as essential to a university as foreign policy is to a government," said Allan Goodman, CEO and president of the nonprofit Institute of International Education. "The world is more than just flat, and work opportunities for graduates require them to be globally competent no matter where they live." Internationalization is the 21st-century reality of higher education. The trend is mainly demographic: The global population of university-age students is growing, and the expanding middle classes in China and India—the most populous nations in the world—are investing in education. A good number have sights set on the United States, which is the global hub of higher education, attracting 21 percent of all students studying abroad, according to the UNESCO Institute of Statistics. "As a leading national research university, Case Western Reserve is part of this global phenomenon, and every part of the institution is engaged in expanding and deepening our international efforts," said David Fleshler, JD, associate provost for international affairs. 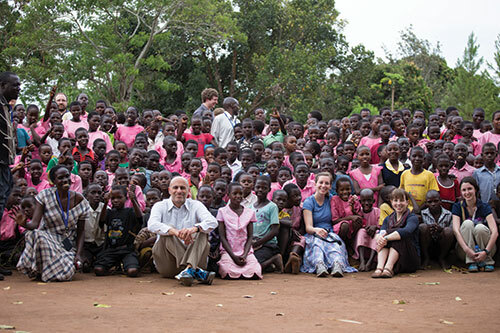 Case Western Reserve has defined its opportunities carefully, building on thriving overseas efforts, such as its two decades of faculty work on HIV/AIDS in Uganda. Fleshler said the aim is to create a sustainable presence in a handful of well-chosen locations. "As we determine how to approach relationships in the world, we look first at where our faculty are working," he said. "We ask, &apos;Where can we add strategic value?&apos; "
The stories that follow offer only a sample of the broad range of international initiatives occurring as Case Western Reserve students become global citizens, and faculty, researchers and alumni bring their know-how and commitment to every continent. As the university continues to draw talented students from around the world, a Case Western Reserve degree provides entry to engagement and learning opportunities across the globe. The number of international students at CWRU is on the rise. Engineering students travel the globe to come face to face with the problems their generation will confront..
Law graduates take education and know-how to international trouble spots. Coordinating the university's global initiatives. CWRU'S schools and college pursuing a range of opportunities.